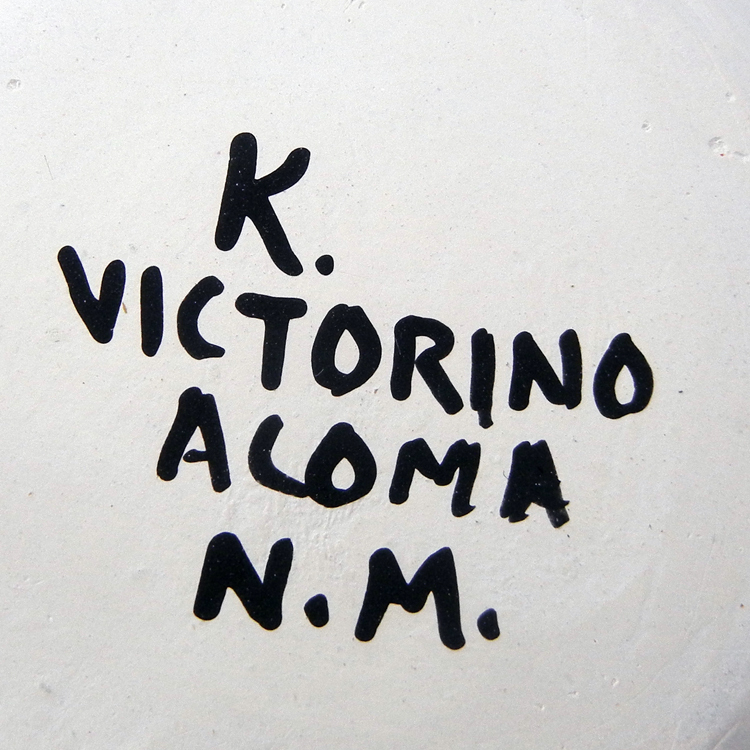 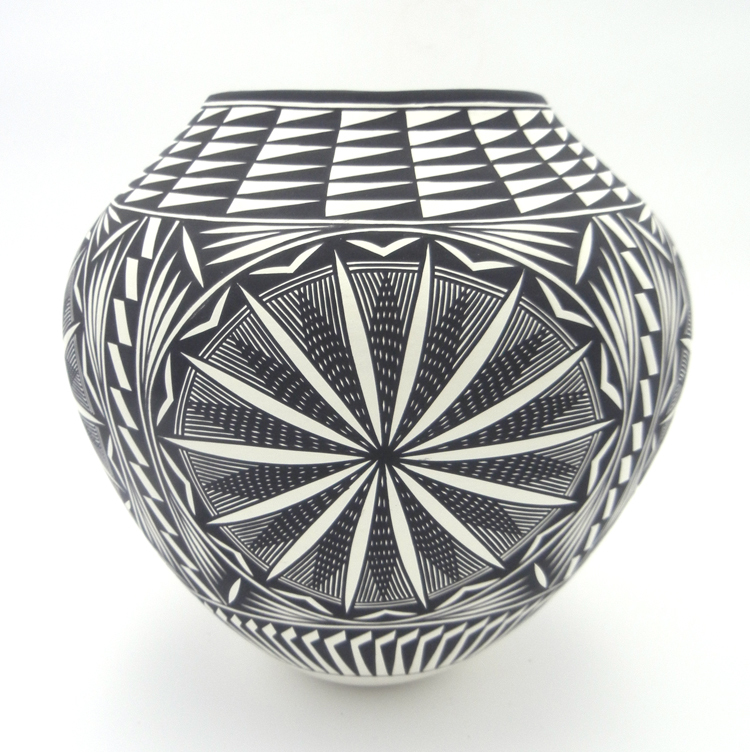 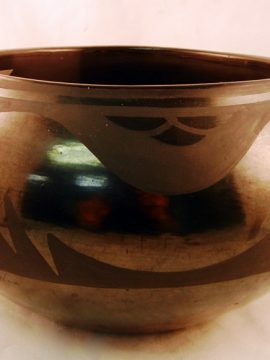 Intricate black and white traditional designs adorn the entire surface of this incredible Acoma jar by prolific potter Kathy Victorino. 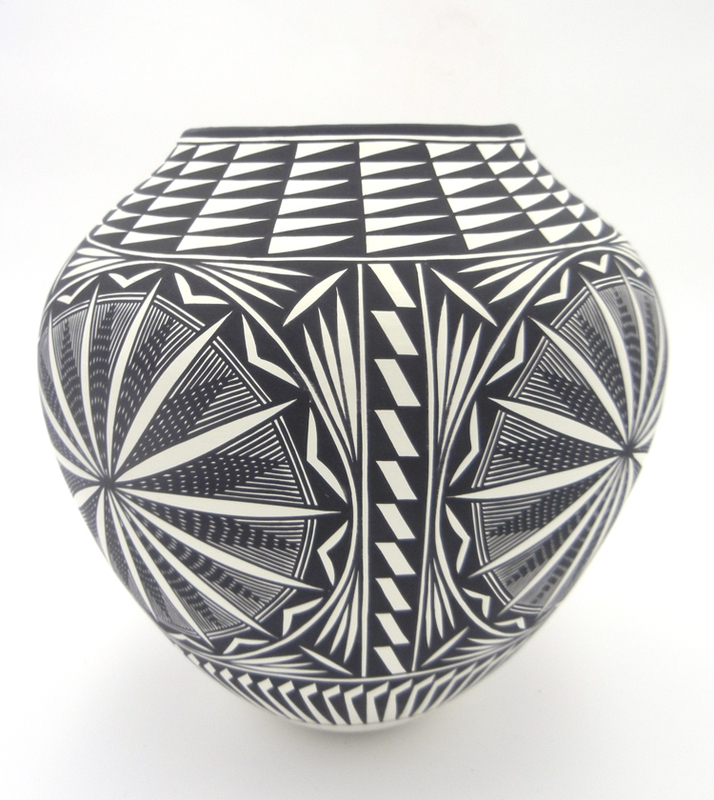 Kathy, known for her black and white pieces and impeccable painting skills, decorated this large jar with myriad designs, including large starbursts, feather, cloud and rain, and geometric designs, the starbursts showcasing Kathy’s ability to create precise, overlapping fine lines. 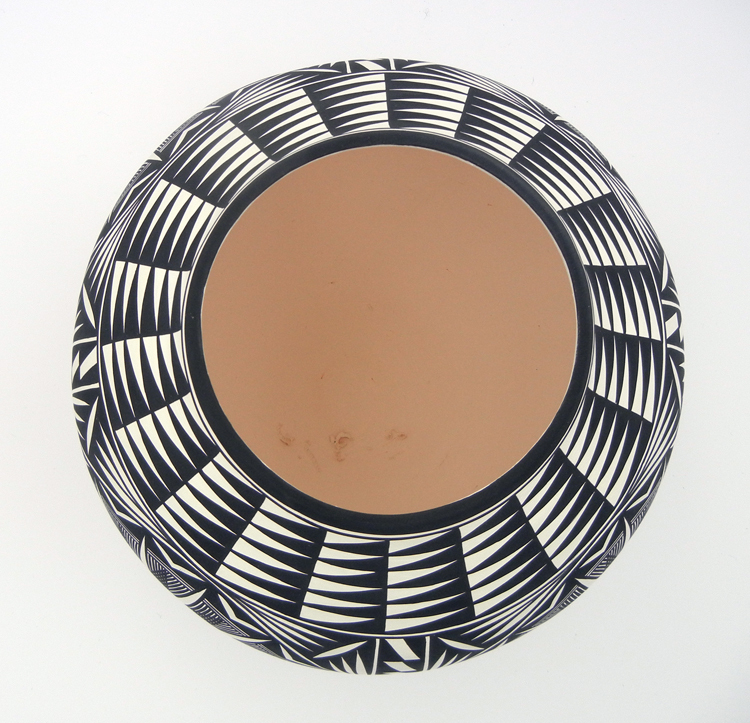 Four starburst designs are painted just below the inflection around the jar, encased in a black and white circle also featuring arrow patterns and surrounded by feather designs. 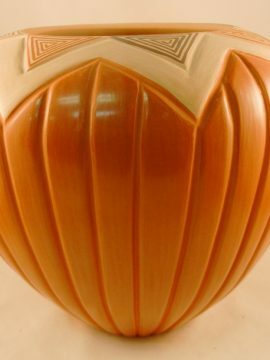 The top of the piece showcases reoccurring triangular patterns, while the bottom features traditional feather designs. 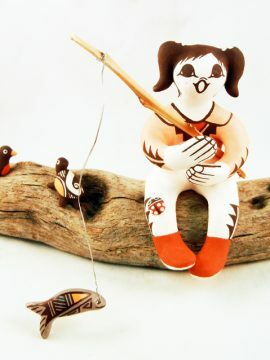 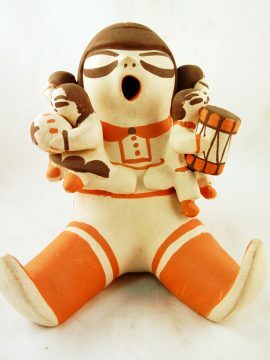 11″ tall x 9 1/2″ wide.